Good. Piece of paper taped to back. Handwritten in pencil on verso: Figure 1. 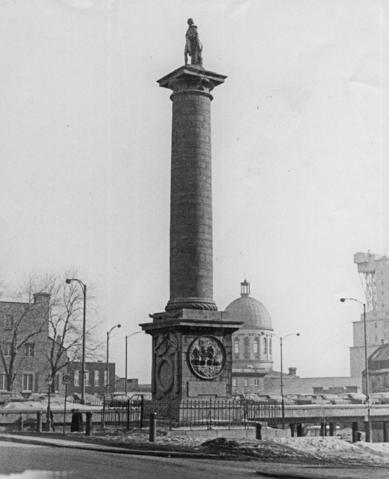 Nelson's Monument, Montreal/ Erected 1809. Handwritten in blue ink: Terra-Cotta/ Aug 1970.